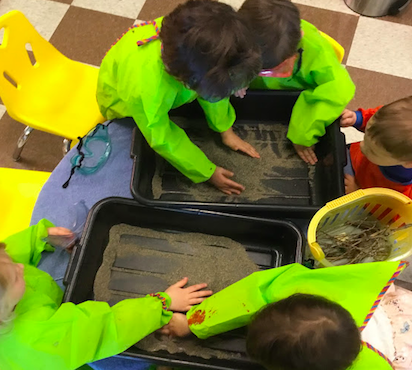 For our Forces of Nature class, we started with learning all about the process underneath the earth's surface. That includes earthquakes, lava, and of course volcanoes! Moving on to the processes on the earth's surface, we learned all about the forces of floods, why it happens, and of course, the forces it has on the earth's surface! 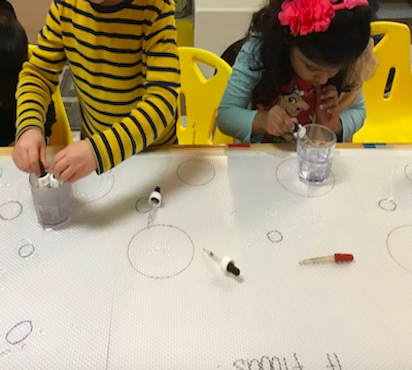 We even flooded circles of our own using droplets. We tried to barricade a mini town we made and experimented on different elements we could use to keep the flood out, only to learn that the force was too powerful. 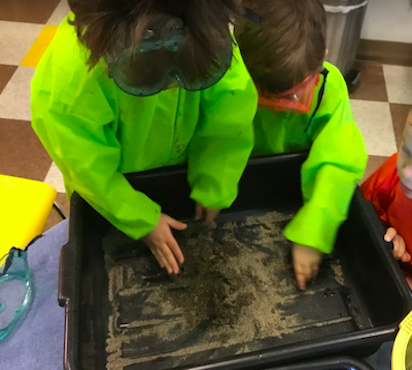 Last week, we moved on with learning about landslides, and learned that it happens because of rain storms, ground movements from construction or earthquakes, and will happen on places with less trees and vegetation. We experimented with this theory after a scavenger hunt to find loose sticks at the park. This May, we will focus on the forces above the earth's surface! 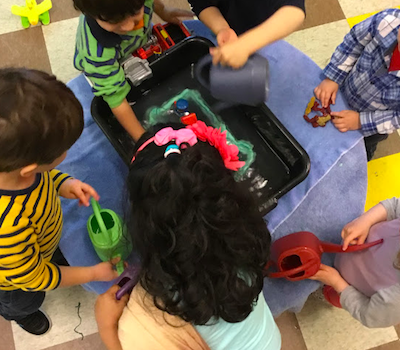 May is all about hurricanes, thunder storms, lightening, and more! Don't miss out! Mondays 1 - 4 pm.